When using facial scrubs for the first time, it`s important to understand what to look for.This post will cover different scrubs and help you chose the best microdermabrasion scrub worth purchasing. Dermatologists have said that the exfoliation helps in easy and natural removal of dead skin and encouraging the emergence of healthy, glowing and smooth toned skin. However, it is important to choose a right type of scrub for the skin type to achieve better results. Those who have sensitive skins must test the product on a small area of their hand or neck to make sure that the product does not react badly with their skin. Choosing the best microdermabrasion scrub from hundreds and thousands of products available in the market can prove to be a daunting task. 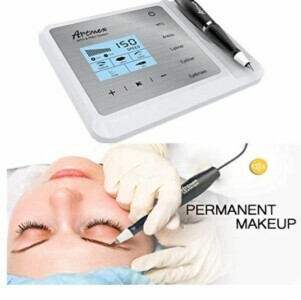 Although, it is always helpful to check out microdermabrasion products and microdermabrasion at home reviews. This microdermabrasion scrub is dermatologist-tested and is suitable for all types of skin. It is an advanced peel type scrub that brings about the smoothness and more even toning of the skin. No Parabens, Sulfates, and Phthalates are used in its formulation. The 10 percent alguronic and the glycolic acid duo is combined ingeniously with 10 percent fruit enzyme complex for the immediate transformation of the skin texture. It acts by dissolving the surface cells which have dulled due to constant exposure to the elements and other skin products to give way to smooth and even skin. Once the surface cells are dissolved, the chemical formula works its magic by exfoliating and correcting any imperfection present in the skin. And thus, encouraging natural regeneration of new and healthy cells. Only this product in its line contains the anti-aging element of Alguronic acid. For best results, apply twice in a week. Apply the scrub evenly on the moist skin using gentle massage in circular motions. Avoid the eyes. Leave it for 3-5 minutes and clean it off with lukewarm water or a wet cloth. A good combination of microdermabrasion sessions and chemical peel which single handed delivers good performance during facial rejuvenation. The exfoliating facial treatment gives skin a radiant look. The formula blows life into the skin by infusing energy into it and by hydrating it. The dual action of the exfoliator helps prepare the skin for the post skin treatment procedures to penetrate deeper which works wonders on the dry lifeless skin giving it a healthy glow. Use your fingertips to gently apply the scrub with massaging in a circular pattern. Wash it off and dry it after. Apply once or twice a week and put on broad spectrum SPF-30 sunscreen afterward and daily. Important Note: For people that are more prone to sunburns, the alpha hydroxy acid in this product increases the skin sensitivity. So, use it with caution and keep broad spectrum SPF 30 sunscreen handy. Another excellent and intense exfoliating product that de-clog the congested pores and loosen up the dull skin cells. The triple-action approach of this micro dermabrasion scrub gives a powerful skin treatment in a just one-time application.Check an earlier post on using microdermabrasion machines here. The glycolic acid works with fruit enzyme in dissolving dead cells and impurities. It stimulates skin cell regeneration leading to silky smooth and even toned skin. It is suitable for all types of skin. Apply a thin layer on the wet skin evenly. Massage for 30 seconds gently. No scrubbing. Avoid the eyes. Leave for up to 2 minutes and then wash it off with lukewarm water. Follow it up with a moisturizer. For best results, use it once or twice in a week. 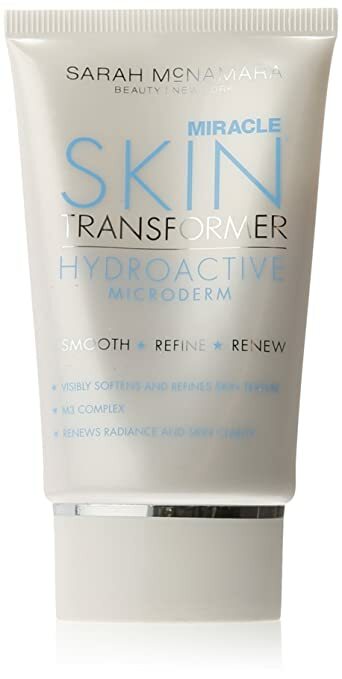 Miracle Skin Transformer Hydroactive Microderm contains micro-crystals of Magnesium Oxide whose main function is to gently loosen up the dull skin cells. Sesame seeds for smoothing the fine lines and antioxidant for preventing the skin from outside elements. The natural extracts enhance the clarity and evenness of the skin giving it a more polished and refined look. It provides instant exfoliation to repair the damaged skin cells and promotes cell renewal. It visibly diminishes the aging signs. It visibly diminishes fine lines, wrinkles and other signs of aging signs. The infusion of M3 Complex, vitamins and marine collagen algae blend hydrates the skin resulting in a luminous skin. Apply using moist fingertips with gentle massaging in an upward motion for about 2 minutes. Avoid the eyes. Rinse properly and pat it dry. It can be used every other day safely. Give it a break for a week every now and then for letting the skin to rejuvenate. 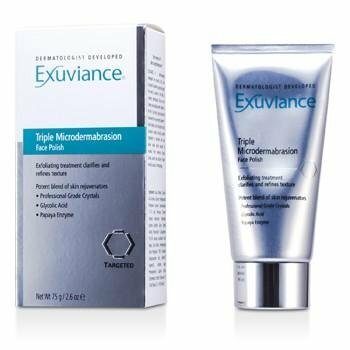 These are the best microdermabrasion scrub that takes care of everything from acne discoloration to dull skin, from sun spots to fine lines. The trick lies in selecting a suitable and the best microdermabrasion scrub depending on your skin type and using it as instructed. Several of these products come with precautionary tips. So, be aware of that while using them. If you have any questions regarding any of the mentioned best microdermabrasion scrub or any other products, let me know by leaving me a message below. If you know anyone who can benefit from this post, please do share in your favourite social media. 11 Facial Hair Removal Women Trust Your Own Homemade Face Mask For Acne Treatment How To Treat Cracked Heels At Home Permanent Makeup Eyebrows Is It For You? Thanks for stopping by Millie,you`re right about natural beauty products not always being as effective,but there are people out there that prefer only natural products. Microdermabrasion scrubs are always a mystery to me. I can never quite figure out how to use them. I’m glad you’ve focused on that subject and I’ll make it a point to read the directions from now on. My problem is that when I use these the next morning my eyes are always swollen, what do you think will help with that? 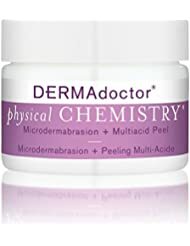 thanks for stopping by and leaving me a message.When applying microdermabrasion to your face area, always remember to leave the eye area I think this is what you might be doing wrong.